HyperX is deep in the gaming headset business, and it’s no surprise given the company’s success in it. We’ve actually been using their products such as the Alloy FPS Pro and the HyperX Cloud Alpha as our daily drivers, and it’s just hard to pass it up for others. And since we were also in the need for a proper gaming headset for our Nintendo Switch. The Cloud Earbuds are somewhat unique when it comes to introductions. 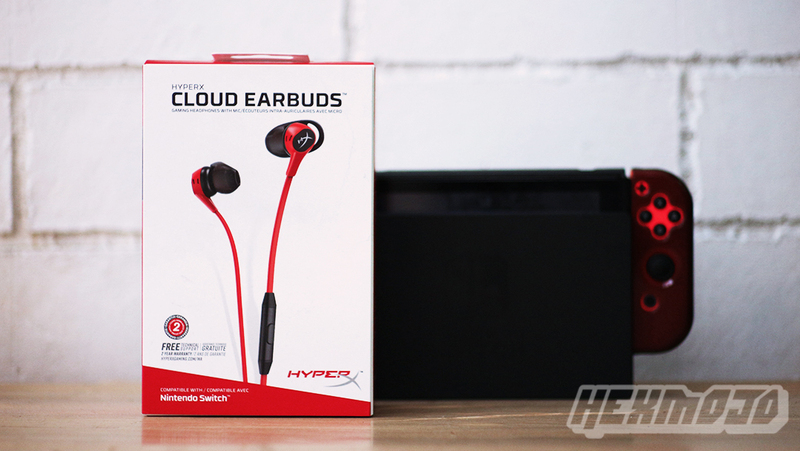 HyperX took years of reinforcement to make a statement on red and black for its products, and them taking a change of pace with the Cloud Earbuds with white and red. Classic, yet rugged. We dig it. Moving forward, there’s some decent inclusions with the Cloud Earbuds. There are the earphones in the flesh, a compact carrying case, two sets of extra eartips, and a set of paperwork. The carrying case by the way is a hard shell case, which will do its job in protecting the earbuds together with the tips or your game carts if you prefer. It’s also a missed setup from HyperX – you know, the good ol bundle with a carrying case. As with any earphones, aesthetics isn’t the only thing constituting design. Functionality plays an important part in the grand scheme of things. 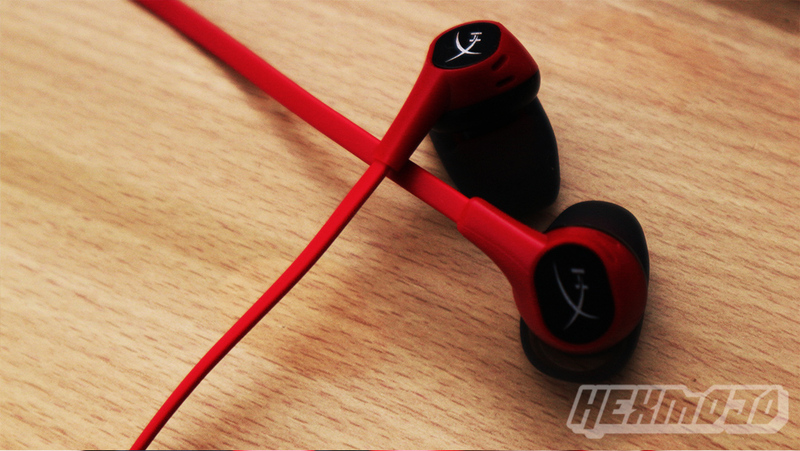 For the Cloud Earbuds, HyperX has some great considerations when it comes to both. It carries gaming by heart in design, but not so much that it would look so heavy in the eyes. 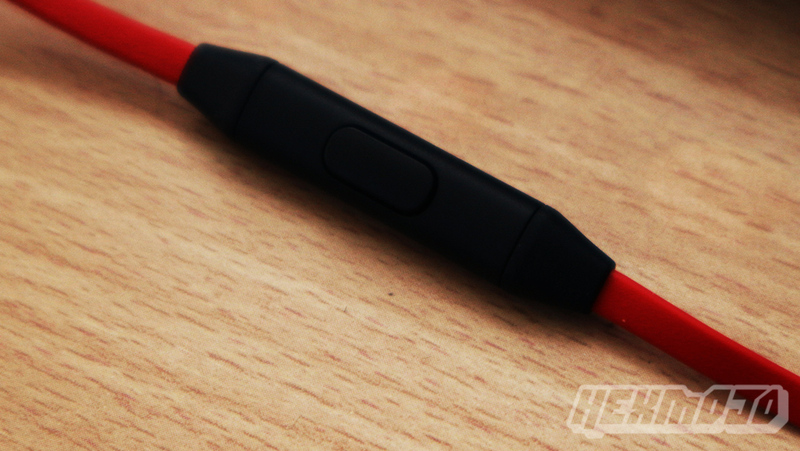 Circular black and red earbuds grace each end, both of which have removable rubbery tips that act as a way to keep them in place when you wear them. They do a great job, mind you, though it might take some time to get used to. HyperX throws in two extra set of tips just in case they don’t fit you. The red wire runs 1.2m long and doesn’t tangle, definitely great when it comes to lugging it in your bag and taking it out in the open. The microphone is situated on the left side of the wire as standard. The button beside it isn’t some sort of a specialized gaming feature, there's also no volume controls here sadly. It functions as a normal button on any headset would, and we wish there could have been a mute switch or at least a PTT feature. 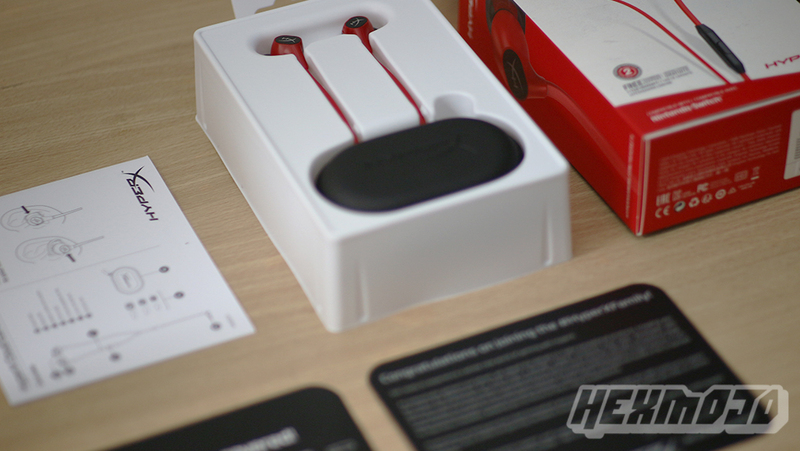 HyperX tags the Cloud Earbuds as one for the Nintendo Switch firstly, and for smartphones second. This is indication enough that the company sees the mobile gaming market and wishes to address its audio needs. We’ve tried it on several games that we have on our Switch. First off, Warframe. Granted, the game doesn’t utilize audio cues to its gameplay mechanics, but for the experience with the earphones it’s quite clear with high volume output. We wanted to try it on voice chat but it’s difficult to test it out when you’re playing on an open channel and the people you play with aren’t responsive to talk with. For Legend of Zelda: Breath of the Wild, the sound is quite rich and the voices are crisp and clean, with the background music adding up to the experience. It adds up on the immersion, with the audio elements clear to help out on the mechanics. The same can be said for Hollow Knight’s atmospheric setting. Gaming on smartphone really isn’t our thing, but we’ll just go ahead and test it out with what we have at the moment. There’s Ragnarok Eternal M, which has quite a nice pop vibe to it added with the richness on the sound effects from attacks and magic. When it comes to music, the Cloud Earbuds probably won’t be your thing if you prefer loud thumping bass above others. To say the least, it’s a pair that keeps it balance, keeping it clean with the vocals surfacing. The bass is there, although the punch isn’t as strong. As usual, our test setup on this one would be Sade’s No Ordinary Love, CHVRCHES’ The Mother We Share, and Explosions in the Sky’s Your Hand in Mine. There will be plenty of factors to consider when testing out microphones. There’s the environment, the device you’re using, the level of noise, and so forth. But to give you a rough overview on how we tested, the audio recorded here is done on the Huawei P9 smartphone’s voice recorder as I spoke on normal volume with very little noise coming from the PC fan and winds from the outside. 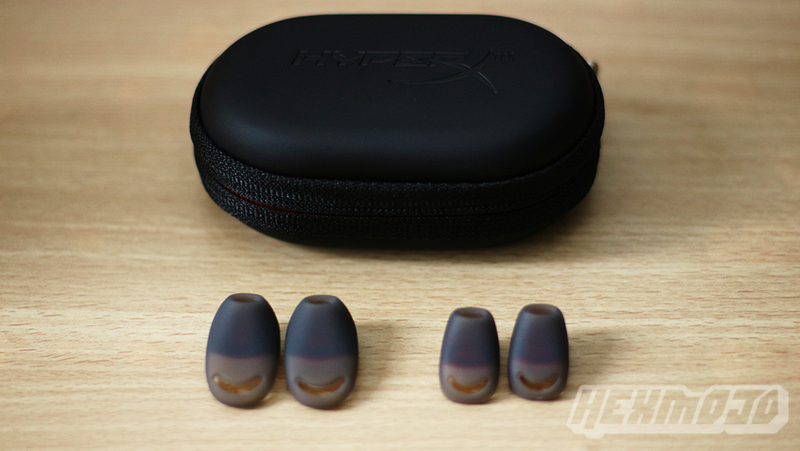 HyperX doesn't put a premium on its offerings, and we love them for it. Sure, there's the HyperX Elite Alloy RGB Mechanical Keyboard that shot up the price to almost Php10K, but that doesn't happen often especially for new products from the company. 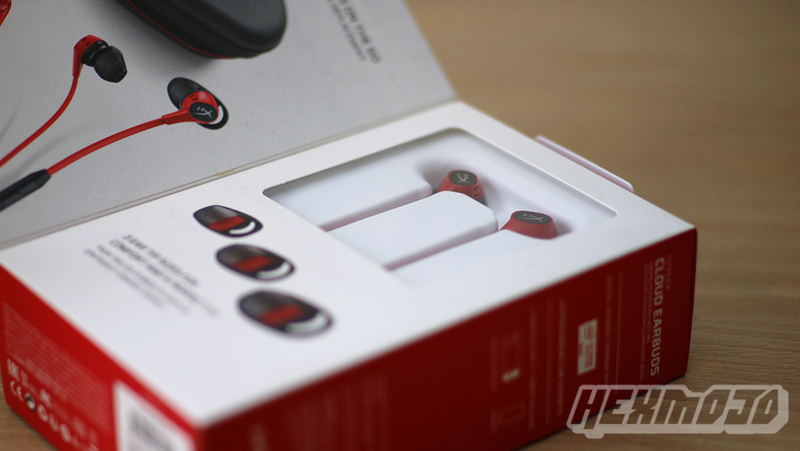 We're frugal gamers still, and as it stands HyperX dishes up some sweet offerings for us and the same can be said for the HyperX Cloud Earbuds. It's easily a great performer in our books, and there's very little to complain about. 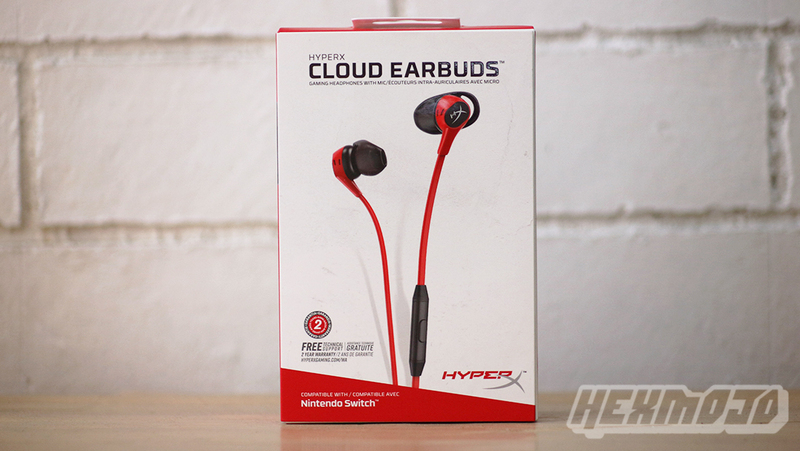 The HyperX Cloud Earbuds come with quite a competitive price tag at $49.99 or Php2,999 (cheapest we've seen in the local market). 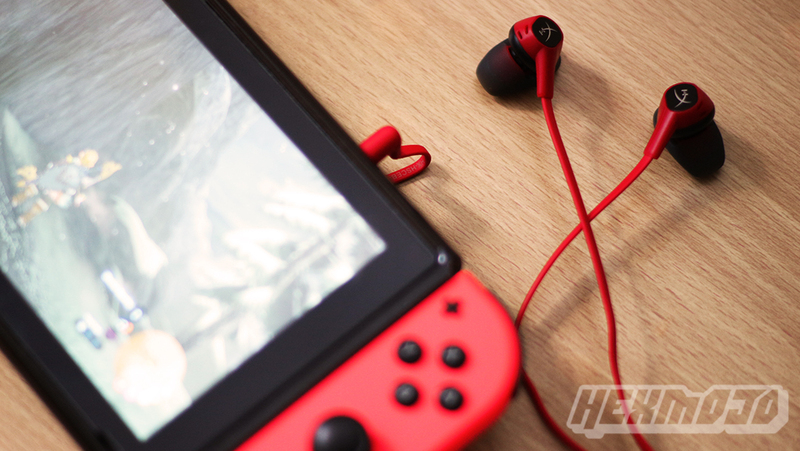 Those looking for straightforward earbuds can definitely find the Cloud Earbuds as welcoming, and it feels at home with the Nintendo Switch.